The European Parliament’s chief Brexit official has welcomed British Prime Minister Theresa May’s decision to scrap the 65 pound ($84) fee that the EU citizens living in Britain would have to pay to get settled status after Brexit. Guy Verhofstadt, the head of the EU Parliament Brexit steering group, said it had been a “key demand” for the EU legislature all along. Prime Minister Theresa May says Britain is scrapping a fee it was due to charge European Union citizens applying to settle permanently in the U.K. after Brexit. After Britain leaves the EU, citizens of the bloc will no longer have the automatic right to live in Britain. The government says everyone already here can stay, and has set up an online registration process with a fee of 65 pounds ($84) for adults. May says that after hearing the concerns of some of the 3 million EU nationals in Britain, she was scrapping the fee. She made the announcement to the House of Commons as part of moves to try to overcome opposition to the government’s divorce deal with the EU. British Prime Minister Theresa May has rejected calls to delay Britain’s departure from the European Union, and says she will press on with efforts to get an EU divorce bill approved by Parliament. May says she will hold more talks with government and opposition lawmakers about their concerns over the deal, before going back to EU leaders. The EU insists the withdrawal agreement can’t be renegotiated. Parliament will debate May’s plan, and alternatives proposed by lawmakers, on Jan. 29. Poland’s foreign minister has suggested the Brexit impasse could be broken by setting a five-year time limit on an Irish border guarantee in the agreement. Jacek Czaputowicz said in comments published Monday that the solution would be less beneficial to Ireland than an indefinite backstop, but much better than a no-deal Brexit. He said Ireland would then “lose the most” and would be obliged to guard the EU’s external border. Britain is rolling out a program to help register an estimated 3.5 million European Union citizens living in the United Kingdom as it begins the process of leaving the bloc. Under a plan that enters the test phase on Monday, EU nationals who want to stay must apply for settled status, and pay a charge of 65 pounds ($83) for adults and 32.50 pounds for children. But trust in the authorities is low, in part because of the recent Windrush scandal in which long-term U.K. residents from the Caribbean were deported or detained because they could not produce documents to prove their right to live in the country. The governments of Spain and the United Kingdom have signed an agreement to safeguard voting rights in local elections for their citizens residing in the other country regardless of the way Brexit unfolds. Britain’s Brexit minister, Robin Walker, says the agreement is the first of its kind for Britain with a member of the European Union. Walker was in Madrid for the signing on Monday. Some 300,000 British citizens living in Spain, the largest community outside of the British Isles, and 175,000 Spaniards who are residents in Britain and Northern Ireland will be able to vote and run in local elections that both countries are due to hold in May, officials have said. Spain’s state secretary for EU affairs, Marco Aguiriano, says the agreement will enter force with Britain’s departure from the EU, whether at the end of March as initially planned or later and with or without an agreement between the two sides. European Union nations are vowing not to reopen the draft agreement on Britain’s withdrawal from the bloc as they await details of British Prime Minister Theresa May’s plan to break the Brexit deadlock. EU foreign ministers arriving for a regular monthly meeting Monday also insisted they would need a very convincing reason to extend the March 29 departure date. 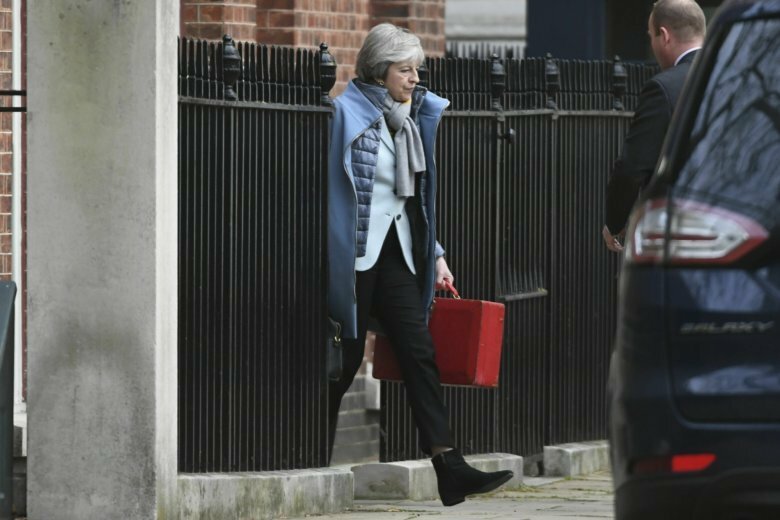 Prime Minister Theresa May is set to unveil her new plan to break Britain’s Brexit deadlock — and it’s expected to look a lot like the old plan decisively rejected by Parliament last week. May plans to brief the House of Commons Monday on how she intends to proceed. There are few signs she will make radical changes to her deal, though she may seek alternations to its most contentious section, an insurance policy to guarantee an open Irish border after Brexit. The EU insists it will not renegotiate the withdrawal agreement. May also faces a battle from lawmakers who are trying to use amendments to rule out the possibility of Britain leaving the EU without a deal. Lawmakers are due to vote on May’s “Plan B” on Jan. 29.